As per my previous post, I find it more manageable when I break my overall weight loss goal down into more manageable smaller targets. I also like to reward myself for achieving these goals. I don’t know if it helps me to stay on track but, as the saying goes, it’s nice to be nice and I don’t see any reason why this shouldn’t apply to being nice to yourself. When I first started Weight Watchers, I would reward myself for having a good week by eating a great big cream cake, or a McDonald’s or something else that I wouldn’t spend my points on during the week. I got into the habit of seeing the evening after my weekly weigh in as a bit of a “no man’s land”. At first, it started off pretty small, but eventually I was binging most Mondays after my weigh in. A typical week would see me polishing off a large McDonald’s meal with thick-shake, a pudding or cake of some description and a chocolate bar (or two)! Not only was this making me feel sick, but I realised that it wouldn’t be doing my weight loss any favours. With this in mind, I have decided to stay on track even on the evening following my weigh in and to reward myself with non-food based items. 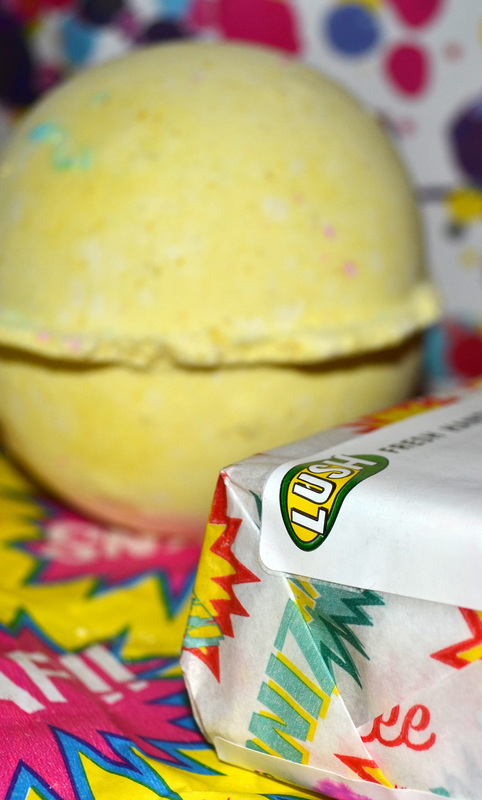 This month, I’m going to reward my weekly weight loss by having a bath with a fabulous bath bomb or bubble bar from Lush. I really love these products as they make a bath feel really special, however they are quite expensive so it’s a treat to use them. For achieving my January target of losing 4lbs, I’m going to reward myself with a back massage. It’s a bit of an extravagance but they are so nice and at £15, I’ll be saving at least that just by not buying the items needed for my post weigh in binges! How do you reward yourself for achieving your weight loss targets? I’m hoping to mix things up with my rewards as I journey towards goal so I’d appreciate any suggestions. I do the exact same thing! I have 20lbs to lose and my rewards are at every 5lbs lost! I think it’s needed to keep your focus on short term as well as long term. If you’re looking at 50lbs to lose, it seems impossible. However, once broken up to 10lbs, it seems more achievable. I think it’s really important not to treat yourself to food. Why do that when you can get something from Lush? I love your rewards system and wish you continued success! I’m on the adventurous side so my rewards include Parisailing, a tattoo, and Skydiving once I achieve my goal weight. However, I know a lot of people that reward themselves with a Pandora Charm, a manicure, and fun stuff like that they normally wouldn’t do. I hope you continue to celebrate the small milestones!! Breaking weight loss into smaller targets is a great way to go about it and also rewarding yourself with non food rewards works for a lot of people. I know some people buy themselves a nail varnish that they’ve seen that they like, shoes, clothes etc. I haven’t really done that but I did treat myself to a bag charm http://propointslifestyle.wordpress.com/2013/03/14/daily-menu-thursday-38/ and I use that as a motivational tool too. On WI day I do have a food treat though, although I keep it to within my pps. It’s usually a home made pizza or a fakeaway kebab. That way I feel like I’m being naughty, enjoying a fakeway (be it pizza or kebab) but it’s not hurting my weightloss. Thanks Colette. Your charm is really pretty and a great idea for staying on track! I love Lush! Their bath bombs are the best. There was a night cream lotion thing I used to love, too, but it’s been such a long time since I’ve gone shopping there. I had a list of target weight losses with rewards like that. I also bought underwear from Victoria’s Secret at one point and also and eyebrow grooming kit, cash, and clothes.